One of the greatest travelers of all time Ibn Batuta once said, “Traveling – it leaves you speechless, then turns you into a storyteller.” I can honestly say that every time after traveling a place, I can relate myself with the quote. Being a full time employee, I always keep an eye on my calendar, check holidays and think about what would be my next travel destination. Having a bunch of travel friends always get you something to do on those holidays. This time we were packing our bags for the adventure in Nepal. 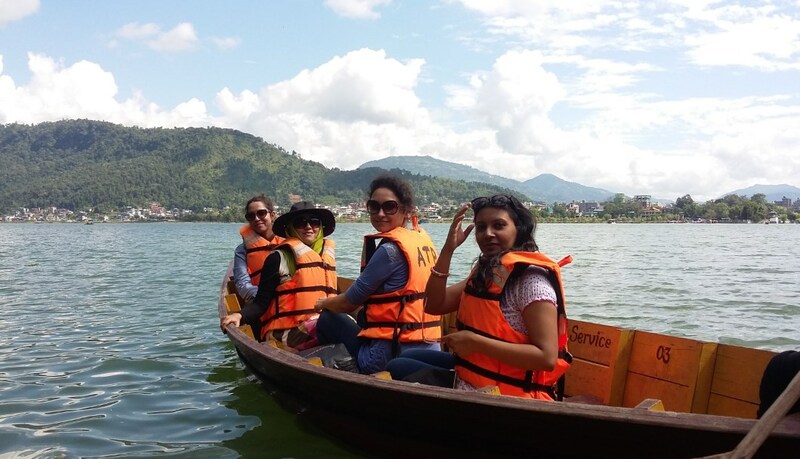 The most crucial part is to plan the itinerary and find the best time to go to this beautiful Himalayan country. After little research on internet, we found that September to late November is the peak season for traveling to Nepal. This is just after their monsoon season; the perfect time to travel there. Second best option is to visit there on February to April when the season is warmer. On Oct 8, 2016 we landed on the land of Himalayas. Inside airport, it was something different we used to hear about Nepal. No bustling with queues at immigration to sort out on arrival visa. Nepal is famous for its gigantic mountain. Eight of the world’s ten highest summits are in Nepal. In season, tourists flood in this country to go mountain climbing and trekking. After 2015 earthquake, tourists come in less number which impacts Nepal’s tourism. After we got our immigration process done, which took very less time, we took a ride to go to our hotel. We checked in our hotel in Thamel, Kathmandu. Thamel is the hotspot for travelers. I fell in love with the place as soon as we arrived there. We still had the day light to stick on our first day plans. It was to go to the highly visited site Bhaktapur Durbar Square. Bhaktapur Durbar square is one of the prominent remnants of the old kingdom in Nepal. It’s located in Bhadgaon which lies 13km east of Kathmandu. We arranged a private vehicle by the help of our hotel manager to go there. 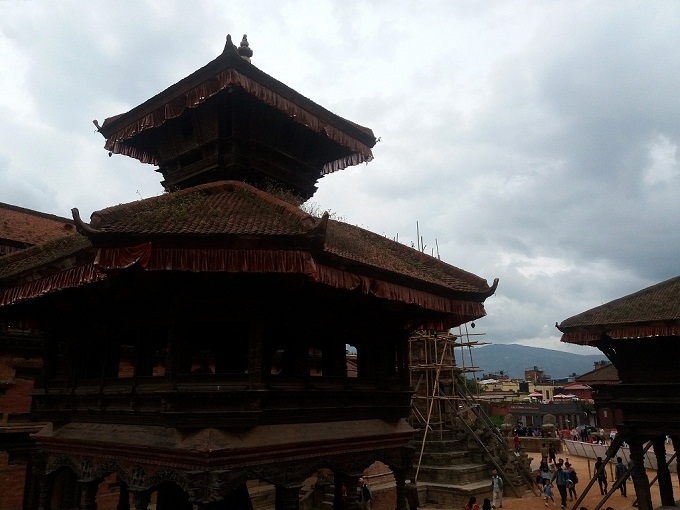 The place actually consists of 4 distinct squares: Durbar Square, Taumadhi Square, Dattatreya Square and Pottery Square but it informally known as Bhaktapur Durbar Square. It’s a beautiful historical place with amazing architectural work, old buildings, temples and idols. Strolling around the place, we found the most talked Nepali favorite dish, something they call ‘momos’, which is a traditional Nepali dumpling-type food filled with vegetables or buffalo meat (they don’t eat beef there). Since then wherever we went, we searched for ‘momos’. It is absolutely delicious! We back to our Hotel at 8pm and went out to see the weekend night of Thamel. It’s the most happening place in Kathmandu. Various shops are lined up in the narrow alleys of Thamel. Wandering aimlessly through the narrow street, I got the feelings that it’s an absolute hippy heaven. This place also acts as pre-base camping for mountaineers. It has been popular among backpackers and mountaineers for more than a few decades. Trekking gear is available in abundance. Beside mountaineering gear shops, you will see various shops and vendors selling colorful clothes, shawls, souvenirs, jewelry, handicrafts and beautiful handmade bags. I was surprised to see how well-priced everything was there. If you want to shop anything in Nepal, I highly recommend to shop from Thamel.